2. Page 2 : High-Bandwidth Cache, HBM2 Memory, Cache Controller, Why Is It Called A Cache? 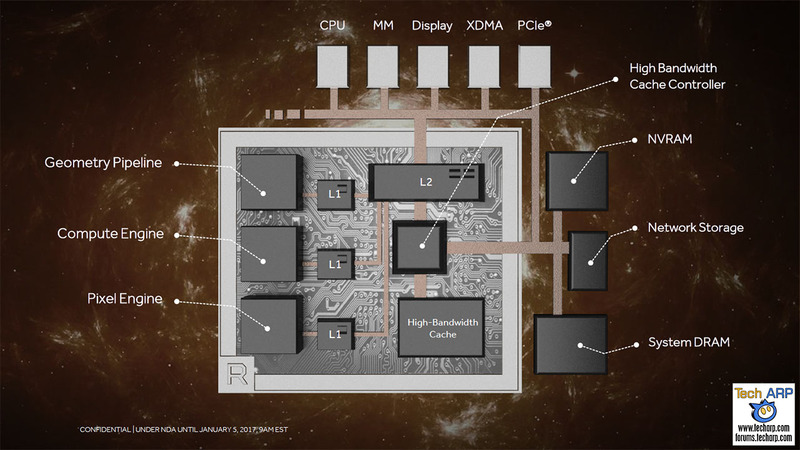 We can reveal the fourth and, arguably, the biggest news out of the AMD Tech Summit that was held in Sonoma, California from December 7-9, 2016 – details of the new AMD Vega GPU architecture! In this article, we will reveal to you, the details of not just the Vega NCU (Next-Gen Compute Unit) and the HBM2 memory it uses, but also its spanking new High-Bandwidth Cache Controller. On top of that, we will delve into the new geometry pipeline and pixel engine! As usual, we will offer you a summary of the key points, and greater details in the subsequent pages. Finally, we will give you the presentation slides and when we get it, the presentation video from the AMD Tech Summit in Sonoma. As AMD’s next-generation GPU architecture, Vega will come with these 4 major features that will help it to leapfrog ahead of competing graphics architectures. We will summarise the key points below. But for more details, click on the links above. If you would like to know more about the four main improvements in the AMD Vega GPU architecture, please click on the following links, or just go on to the next page. Next Page > High-Bandwidth Cache, HBM2 Memory, Cache Controller, Why Is It Called A Cache? Continue: Page 2 : High-Bandwidth Cache, HBM2 Memory, Cache Controller, Why Is It Called A Cache? Previous : Final-Lee, The OPPO R9s Pre-Order Is Here! No, we were actually NOT allowed to record a video of that, even though he held it up for just a few seconds. 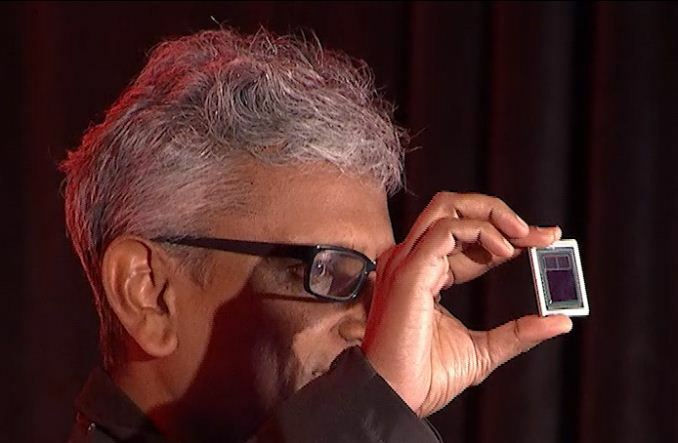 I too have a picture of Raja showing off the Vega GPU but frankly, it’s just a picture of Raja showing off a chip.